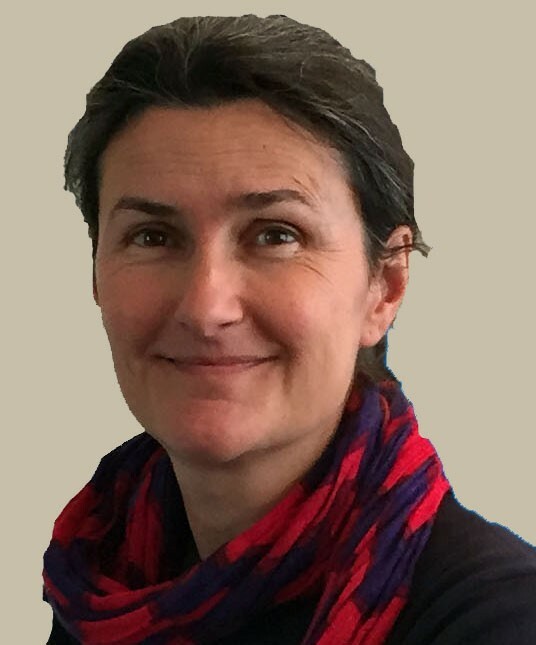 Cristina Dondi is Oakeshott Senior Research Fellow in the Humanities at Lincoln College, Oxford, and ERC Research Fellow in the Faculty of Medieval and Modern Languages; she is also the Secretary of the Consortium of European Research Libraries (CERL). Cristina holds a degree in Medieval History from Università Cattolica of Milan, and a PhD, also in Medieval History, from King’s College, London. Her work on incunabula started at the Bodleian Library, where she was one of the editors of the Library’s Catalogue of incunabula, Bod-inc (1996-2002; 2002-2005 as consultant). She was the first Lyell Research Fellow in the History of the Early Modern Printed Book, University of Oxford (2002-2005) and JRF at Lincoln College. 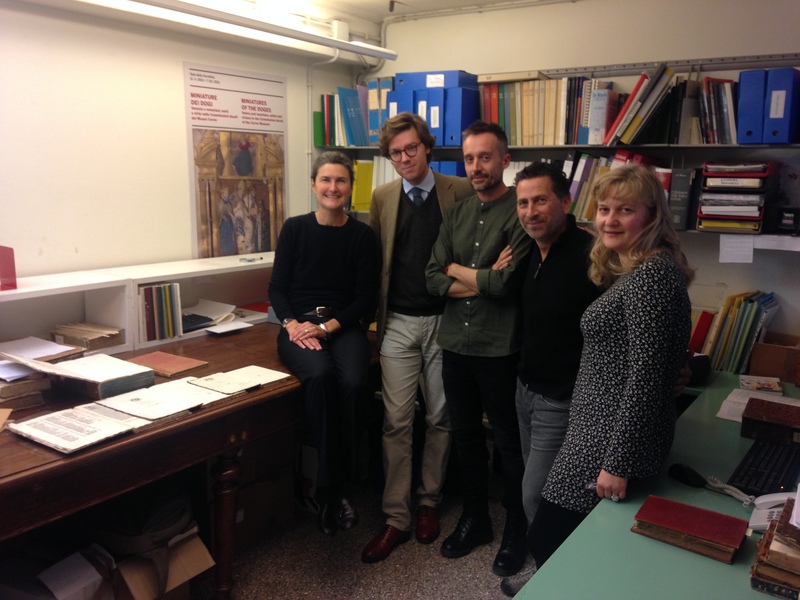 Her research on the production, distribution, and reception of all Books of Hours printed in Italy in the Fifteenth Century will be published in 2016. 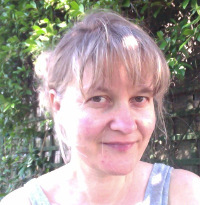 Between 2009 and 2011 she held a British Academy Research Development Award (BARDA) with Prof. Nigel Palmer, Faculty of Modern Languages, for an investigation on “The Venetian Book-trade in the 15th Century: material evidence for the economic and social history of the Renaissance”, for which she created the database Material Evidence in Incunabula (MEI). She is the recipient of a European Research Council (ERC) Consolidator Grant (2014–2019) for the project “15cBOOKTRADE: An Evidence-based Assessment and Visualization of the Distribution, Sale, and Reception of Books in the Renaissance”. Position within the 15cBOOKTRADE: Principal Investigator. Geri Della Rocca de Candal is a Research Fellow (2014-2018) in the Faculty of Medieval and Modern Languages and the Bodleian Library, Oxford. He holds a degree in Ancient History from the Università degli Studi of Milan, an M.St. in Modern History [Byzantine Studies] from the University of Oxford and a D.Phil. in Medieval and Modern Languages, also from the University of Oxford, with a thesis on the early-modern editions of Byzantine historiographers. In 2008 he revived the Oxford University Society of Bibliophiles, while between 2013 and 2015 he led the team of researchers working on the Villa Lante Project. 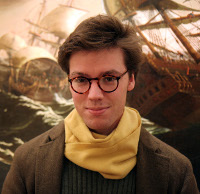 His research interests focus on early Greek printing, books for Western traders in the Mediterranean and the circulation of books in the Ottoman Empire. Position within the 15cBOOKTRADE: Oxford Postdoctoral Research Fellow, in charge of liaising with libraries worldwide for inclusion of their incunabula descriptions into MEI, liaising with the Data Conversion Group (DCG) of the University of Göttingen, Germany, for the ingestion of data, as well as enhancing the records to comply with the database categories. Other responsabilities include working on the new Text-inc database, towards the preparation of the corpus of all texts printed in the 15th century. Sabrina Minuzzi is Research Fellow (2014-2018) in the Faculty of Medieval and Modern Languages, Oxford. She holds a degree in Humanities (Italian Literature) from Ca’ Foscari University of Venice and a PhD in Early Modern History funded by the University of Verona. She also holds a degree in Library Sciences from La Sapienza University of Rome and a diploma in Archival Science, Palaeography and Diplomatics from the State Archive of Venice. Sabrina worked at several rare books and archival projects, mostly funded by Ca’ Foscari University (Venice) and by Regione Veneto. She was research associate in the Census of 17th century Venetian books, carried out under the direction of Prof. Mario Infelise (2001-2005), and therefore one of the three editors of Le edizioni veneziane del Seicento: censimento (Milan: Bibliografica, 2003-2006), 2 vols. The final dissertation in Library Sciences (history of publishing, La Sapienza University) led to her first monograph, Il secolo di carta. Antonio Bosio artigiano di testi e immagini nella Venezia del Seicento (Milan: FrancoAngeli, 2009). It was followed by the critical edition of the 17th century shop inventory on which the research was based: Inventario di bottega di Antonio Bosio veneziano (1646-1694). Catalogo delle edizioni e delle incisioni (Venice: Ca’ Foscari Digital publishing, 2013). In 2016 Sabrina’s PhD research in Social History of Medicine became a book, Sul filo dei segreti. Farmacopea, libri e pratiche terapeutiche a Venezia in età moderna (Milan: Unicopli). Her research interests are Book History and Social History of Medicine. Position within the 15cBOOKTRADE: Postdoctoral Research Fellow. Sabrina is studying and cataloguing, book in hand, copy specific features of incunabula in MEI and textual contents in Text-inc, mainly from Venetian libraries (Marciana National Library, Museo Correr etc.) and from selected foreign libraries. Her personal research project is focused on 15th-century books of Materia Medica: herbals, collection of recipes (e.g. Thesaurus pauperum) etc. From October 2018 part of the Polonsky Foundation – IGI Digitization Project: Subiaco, Incunabula of Santa Scolastica. 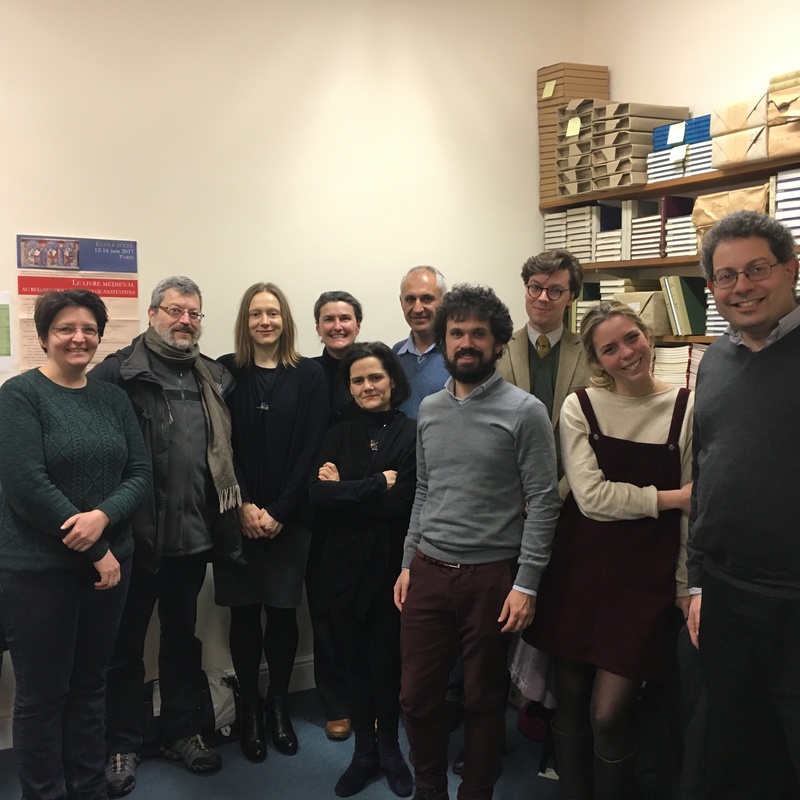 Maria Alessandra Panzanelli Fratoni (Alessandra Panzanelli) is Research Fellow (2014-2018) in the Faculty of Medieval and Modern Languages of the University of Oxford and in the British Library. She comes from the University of Perugia (Librarian, currently on leave). She holds a degree in Humanities (History) from the University of Perugia (1996, supervisor Attilio Bartoli Langeli), a degree in Library Science from the University of Rome ‘La Sapienza’ (2000, supervisor Alfredo Serrai), a diploma from the “Scuola di Archivistica, Paleografia e Diplomatica” of the Archivio di Stato in Perugia, a PhD in Library Science from the University of Udine (2006, History of Libraries) and a PhD in History from the University of Perugia (2012, research subject History of the Book). The subjects of her PhD dissertations are, respectively, the private library which originated the Biblioteca Augusta of Perugia (16th century) and book production in Perugia in the first 90 years (1471-1559), both seen as case studies of the distribution and use of books in a University town of the Italian Renaissance. From 1999 until 2002, Alessandra collaborated with the teachers of the early Modern period in the Department of History of the University of Perugia. She was also involved, as a professional archivist, in a project focused on the Historical Archive of the same institution where in 2002 she started working as Librarian. Her knowledge of the Historical Archive, together with her research interests, led her to be involved in several initiatives related to the celebration of the 7th centenary of the Foundation of the University (1308). The main results have been two exhibitions (“Doctores excellentissimi”, 2003 and “Maestri insegnamenti e libri”, 2008) and the publication of a book based on the foundation documents issued by the pontiffs Clement V (1308) and John XXII (1318-1321) and by the Emperor Charles IV (1355). In 2011 she contributed to the creation of a working group dedicated to “Rare Books and Special Collections” (December 2011) that she led until the end of September 2014. Alessandra regularly participates to the Renaissance Society of America Annual Meeting (Los Angeles 2009, Venezia 2010, San Diego 2013), and other international conferences (Toronto 2010, London 2012); in 2011 she spent a three-month internship at the British Library during which she started the description of the BL incunabula in MEI, and seven weeks of research at Harvard, as fellow at the Houghton Library. 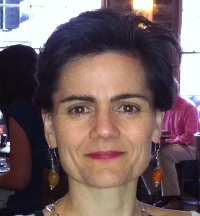 Alessandra authored, among others, more than 30 articles and 1 book (the complete list is given at the end of the CV available in www.academia.edu), and is a member of several scientific and professional associations. Position within the 15cBOOKTRADE: Postdoctoral Research Fellow, based at the British Library, where she is working on the provenance of the Library’s collection of incunabula, starting from the existing lists of former owners based on the BMC Catalogue; she is also capturing the textual content of editions not in Oxford or Venice, into the Text-inc database. She is working towards the inhancement of ISTC. Her personal research project is centred on 15th-century legal editions, especially the works of Bartolus de Saxoferrato. Matilde Malaspina is DPhil Student at University of Oxford, in the Faculty of Medieval and Modern Languages. She holds a three-years degree in Modern Languages from Università Cattolica del Sacro Cuore, Milan, and a two-years degree in Modern Philology from the same university. Her final dissertations concerned respectively the life and Latin works of the 14th century Bolognese chancellor Pellegrino Zambeccari (February 2012) and the inventory and catalogue of manuscripts containing Latin works by Francesco Petrarca owned by the Biblioteca Ambrosiana, Milan (April 2014). From September 2013 to June 2014 she attended the Scuola Storica Nazionale per l’Edizione delle Fonti Documentarie (Rome, Istituto Storico per il Medioevo). From November 2015 she will be on a six-months residential scholarship at the Centro Internazionale di Studi della Civiltà Italiana ‘Vittore Branca’ (Fondazione Giorgio Cini, Venice), carrying forward her work for the 15cBOOKTRADE Project. Her main research interests focus on manuscript and printed transmission of Classical texts and their circulation and use in the 14th and 15th centuries; Humanistic translations from Greek; the transition from hand-made to early-printed decoration and its relationships with cultural production. Position within the 15cBOOKTRADE: Selecting capturing and describing illustration for the application of image-matching. Birgit Mikus is the project administrator and a member of the research staff of the Faculty of Medieval and Modern Languages, Oxford. She holds an M.A. in German Language and Literature and General and Applied Linguistics from the University of Bonn, Germany, and a D.Phil. in Medieval and Modern Languages from the University of Oxford, on the depiction and narrative function of female political activists in German women’s writing in nineteenth-century Germany. Her research focuses on nineteenth- and early twentieth-century German literature and cultural history, women’s writing, history of feminism, political literature, scientific thought in literature of the Weimar Republic, philosophy of language, and the author Hedwig Dohm. In addition, Birgit teaches translation for several Oxford colleges, as well as specific literature subjects, particularly Bertolt Brecht and Günter Grass as ‘special author’ papers. Her most recent publication is the book based on her doctoral thesis, The Political Woman in Print: German Women’s Writing 1845-1919, Peter Lang: Oxford, 2014. 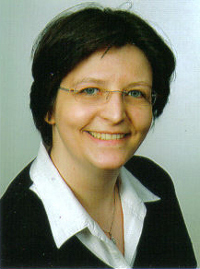 She is currently co-editing a volume of Oxford German Studies, titled Fractured legacies: historical, cultural and political perspectives on German feminism, due to be published in January 2016. Position within the 15cBOOKTRADE: Project Administrator. Dr Simon Walton received his PhD in Computer Science from Swansea University in 2007 in the area of volume graphics. 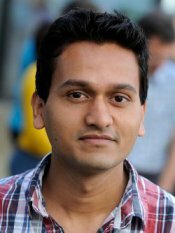 He is currently a research associate at the Oxford e-Research Centre, University of Oxford, where his research focuses on data visualisation and its multidisciplinary applications. Position within the 15cBOOKTRADE: Application of visualisation tecniques to MEI data to track the distribution and use of 15th-century printed books. Position within the 15cBOOKTRADE: Advisor on visualisation. 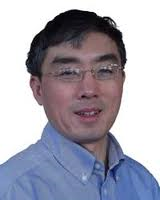 Research Software Engineer in the Visual Geometry Group (VGG) of the Department of Engineering Science at the University of Oxford, under the supervision of Professor Andrew Zisserman. Position within the 15cBOOKTRADE: Developer of image-search software.